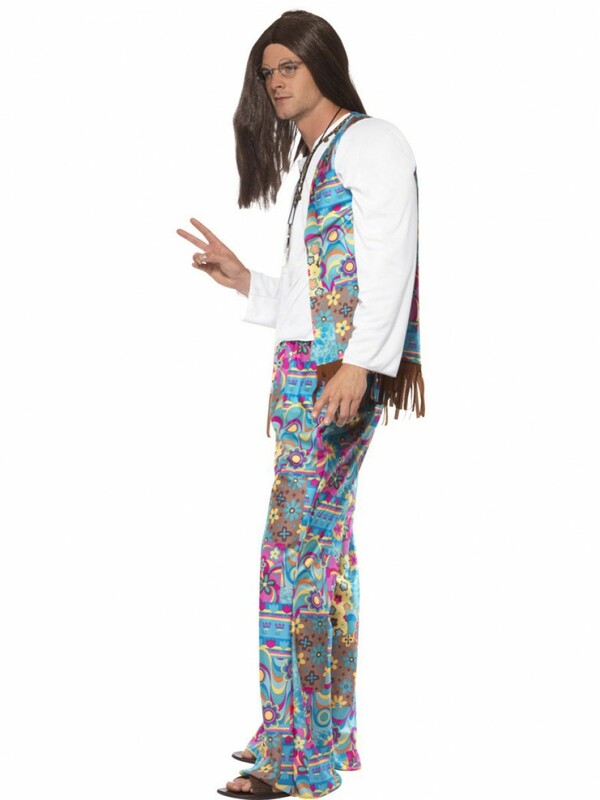 This groovy Hippie Man Costume comes with a Top with attached Waistcoat and pair of matching Trousers – with a chilled out 60s Costume look! 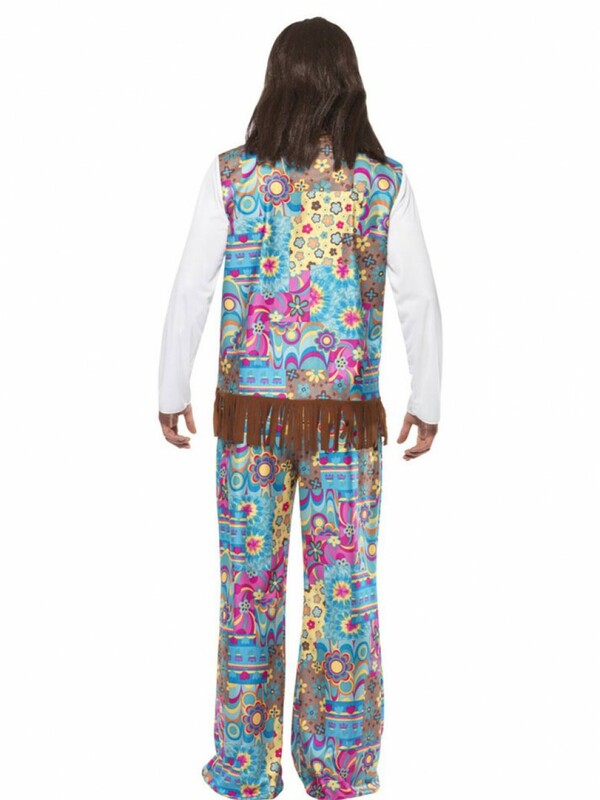 This bright flower power Hippie Costume with Top and Trousers is perfect for any groovy 60s theme. The white top has long sleeves, detailed neckline and attached waistcoat. The waistcoat has a bright flower power design and brown fringing. The all-in-one design is comfortable and also means that your look stays perfect all night! The matching patterned trousers have a wide flare and elasticated waist. 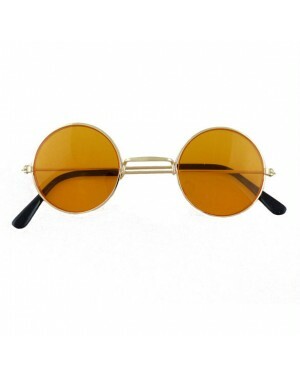 A great Hippie Costume for any fancy dress event. 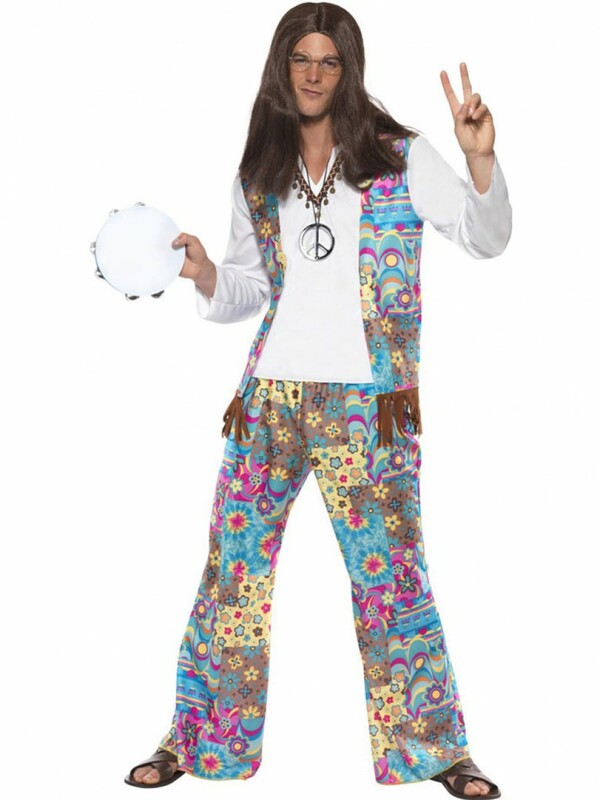 Hippie Costume which includes Top with attached Waistcoat and Trousers.